At a time when climate change and the renewable energy revolution are both accelerating and we’re not sure which one will win this insane high-stakes race, you would have thought the UK government would be pulling out the stops to encourage the growth of solar. After all, it’s not exactly like our prime minister is a climate denier who thinks climate change is a hoax by the Chinese. We don’t have Trump at the helm. Our government pays lip service to the need for climate action. We even have a legally binding target for an 80% cut in carbon emissions by 2050 compared to 1990 levels. We are in the process of quickly phasing out coal. The government’s plans for a fracking revolution have been stalled over and over again by a pesky thing called democracy, and our recent independent infrastructure review poured cold water on the government’s new idea to build a flurry of nuclear power plants – calling the plan ‘uneconomic’ and favouring cheaper wind and solar. Meanwhile, the cost of solar has fallen off a cliff, with costs dropping faster than anyone predicted, even at the optimistic end. According to IRENA: “Solar PV module prices have fallen by around 80% since the end of 2009, while wind turbine prices have fallen by 30–40%”. So, given all this, you would have thought our energy policy would have pivoted to boosting solar as much as possible. This week I was extremely pissed off to read the news that the Conservative UK government has decided to pull the plug entirely on the crippled household solar ‘feed in tariff’ – the subsidy scheme started in 2011 that pays people for generating power with their own rooftop solar panels and for exporting any excess power they don’t use onto the energy grid. This scheme was very successful at boosting household solar across the country. But in 2016 it was cut drastically, with installs after that point getting a fraction of the cash than earlier ones. And now they’re planning to kill the scheme entirely in March 2019. To be honest, I’m not really that surprised that the payment for generating power is being scrapped. This was always going to be a temporary incentive to get solar up and running. What really did shock me, is that the payment for exporting energy to the grid is also being scrapped. This is totally nonsensical and is just a spiteful kick in the teeth to be honest. This was what showed me that the government isn’t just ambivalent towards renewables, they must actually be trying to kill rooftop solar. As should be obvious, when a household exports energy to the grid, that energy is then going to be used by other people, and if it wasn’t exported, then an equal amount of energy would have had to come from somewhere else to fill the demand. Somewhere else like a power station, that is paid for putting energy into the grid. Yet for some reason households are being expected to export power into the grid for free, without getting any money for it. Essentially, they will go from getting a small subsidy, to not only getting no subsidy but actually subsidising everyone else. If they don’t have batteries – and only 4% of UK solar households do, though I expect that will change now – they will just be forced to give their energy away for free. Because as we all know solar power fluctuates with the daily and seasonal cycles of the sun, people tend to generate more power than they need at some points and generate less than they need at other points, using the grid to take the excess or fill the shortfall. If the government get their way, from March 2019 the only economic benefit of getting rooftop solar panels will be the savings on your bills when you’re generating and using your own power. This will still be enough of an incentive for some people to invest the £6,000 or so, but clearly it will discourage people on the fence and reduce the overall number of households who take the leap. This is exactly the opposite of what we should be doing right now. Talking of running in the wrong direction, the government has also just released plans to make fracking easier by allowing exploratory fracking wells to be built without planning permission. Yep. 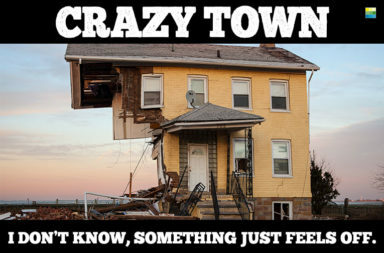 I know, it’s crazy. The thing is, there has been such massive public opposition to fracking in this country that wherever it pops up, local councils are rejecting it. The government has got frustrated and are attempting to side-step local democracy entirely. Add to this mess the fact that the Conservatives recently scrapped the planned state-of-the-art tidal lagoon project and green lighted the expansion of the Heathrow airport (on World Environment Day, hilariously) and it becomes clear how little this government cares about climate change, long term energy security and our future. Despite what they might say in sugar-coated press releases and nauseating twee tweets like this one. Mysteriously vague new Environment Act – whatever. Actions speak louder than words, and their actions are shameful in an age of climate change. The renewable energy boom is still happening in spite of our national energy policies, but it will surely be slowed down by this stupidity. Imagine what it could be like if we actually supported it? One glimmer of hope on this issue is that the government’s plans are not necessarily set in stone. They are sometimes forced to U-turn or compromise because of public opposition. If you’re like me and think this pro-fracking anti-renewables drive is ludicrous, then please take action! Here’s what you can do. Respond to this government consultation about scrapping the solar feed in tariff scheme. (Open until 11:45pm 13th September 2018). And respond to this government consultation about allowing exploratory fracking wells without even getting planning permission. (Open until 11:45pm 25th October 2018). Find your MP here and email them, tweet at them or call them and tell them what you think. Share this post on social media to spread awareness about this craziness. As I’m sure you can tell actions 1, 2 and 3 only really work if you live in the UK, but I hope you wonderful international readers will do action 4 and spread the word. National energy policy is an international concern when you have climate change getting more severe by the day. Another note: While you can respond to the consultations as an individual, it will count for much more if you can represent a business, organisation, group or something. I’m going to ask the organisation I work for to do it, and also the company I used to work for. I might even do it for this blog as well. Why not? Let’s tell the Tories to quit their fracking nonsense and support solar.